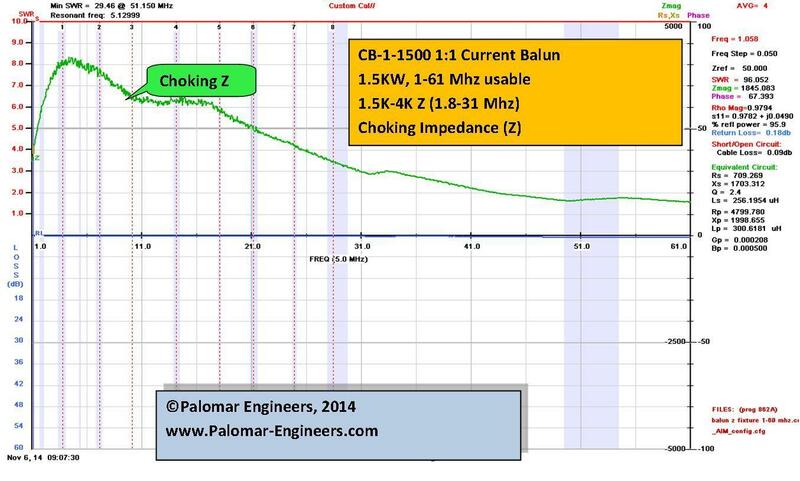 Th CB-1-1500 balun is useful as common mode feed line chokes or unbalanced coax to balanced antenna interface. SO-239 input to side terminal/eyebolt output. . 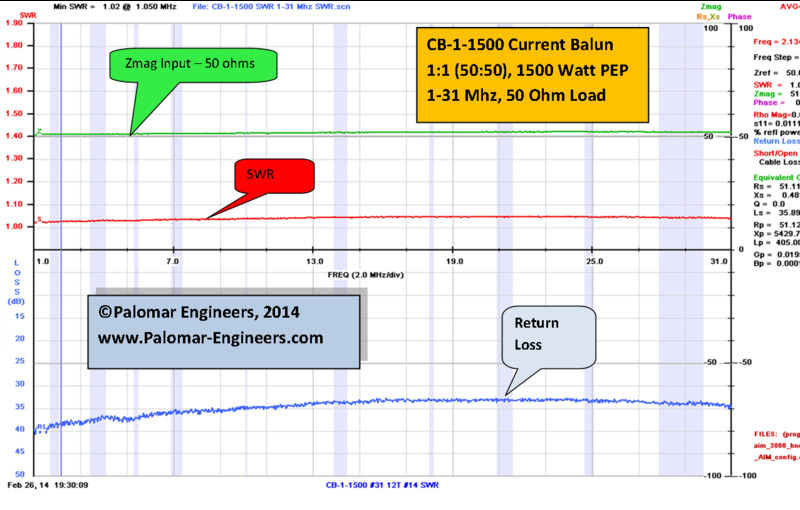 Rated 1500 Watts PEP from 1-61 MHz. Use as line isolator, antenna interface, or as a common mode choke to keep RF on the antenna and off the outside of the coax braid. 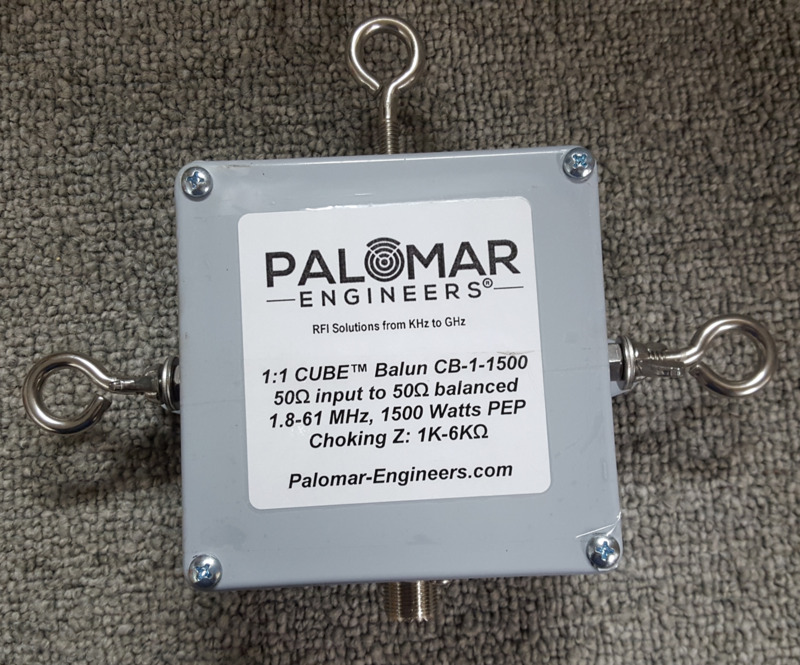 Much more effective then our snap on ferrite beads as this balun which provides a higher choking impedance over a broad frequency range.